Alumni, faculty, or staff of any Indiana University campus who are currently living in the Indy area can sign up to be matched with an international student. 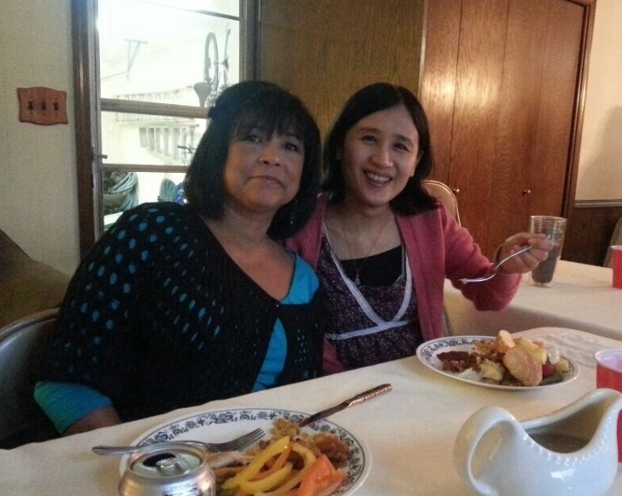 Read about an IHP match - Flor Phillips and YanMei Lou who celebrated Thanksgiving together. What will I do with my student? Global Jags Connect (previously known as the International Host Program) will plan an initial event to meet your student and send periodic suggestions or invitations to special events. The rest is up to you! You can introduce life in Indianapolis to your student and provide them with a personal experience of American culture. This could include going to sporting events, festivals, or museums. You may invite your student to your home for a meal, and introduce them to your traditions. Will my student live with me? No, a community connection is not the same as a homestay family. You will see your student about once or twice each month. How long do I stay matched with my student? Community Connections and student matches last for 4-5 months. After that, students and hosts may continue to contact each other if they wish to do so. Or, they can sign up for a new student or community match. What are the benefits of being in GlobalJags Connect? What is expected of Community Connections? Invite student to family gatherings, work events (if appropriate), etc. While each connection will be different, you and your student may enjoy any of the following IUPUI and department sponsored events throughout the year. If you experience difficulty submitting the form, please try this link.